Being a cop might be in Anthony Moretti's blood, but protecting and serving the city of New York has always been more than just the family business. If that means his love life stays locked up, well then that's just another sacrifice made in the line of duty. That is, until he sets eyes on the gorgeous new waitress at The Darby Diner and suddenly Anthony's morning coffee is leaving him a whole lot more hot and bothered than usual. Though waitressing at The Darby isn't exactly Maggie Walker's dream job, it pays the bills and gives her time to work on her novel. Now if only she could stop fantasizing about gorgeous Anthony Moretti every time he sits down at her table, she'd really be in great shape. But when he needs her help identifying a criminal threatening The Darby—and Maggie recognizes her ex-husband—she fears her fresh start might be a pipe dream. Faster than a New York minute, Maggie and Anthony find themselves in one perilous pursuit that only gets hotter with each and every rule-breaking kiss. I still havn’t posted the review I wrote for the first book but lets just say I didn’t enjoy the family dynamics in that book. I still didn’t in this one either however I really felt for Anthony Moretti. He came across as worried, frustrated and tense about his work. He seemed really focused on his work which was good. Poor guy doesn’t like change from what I could tell from his response to the old waitress leaving. Maggie Walker on the other hand, poor sweet child still believing in her family. life had delt her with some bad cards but she was managing and Ms Layne made me understand her plight without me pitying her. I could sympathise but admire her strength of character of getting out of a bad situation (her first marriage). Moving on to the romance: I liked it, it started off as cute with their awkward drunk texting to each other and obviously they had chemistry which showed from their first one-on-one interaction. Ms layne can write some great passion between her couples. Stuff I didn’t like: Apart from the chapter before the epilogue which should have been a bit longer because it made me feel like they had still unresolved issues, I didn’t like how Maggie misunderstood Anthony at times, it bugged me similarly with Anthony how felt like he had no choice but to be just a captain or be a boyfriend was just baffling after we find out what exactly happened with his ex and I still don’t enjoy the character of Ava. 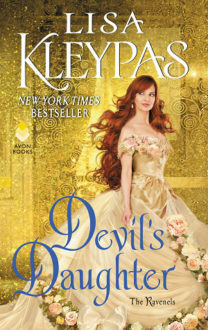 Why just 3.5 stars: I really enjoy Ms Layne’s books and I adored the stiletto series, this wasn’t as great as those ones. Also because as a romantic suspense mystery/thriller reader, the whole petty thief plot and how he was caught did not work for me. In conclusion: It was a good book and I’m looking forward to Vincent and his partners book. Happy Reading! Now she writes fictional happy endings, and considers her job done well if you swoon while reading her books. Don’t worry. You will. Once upon a time she lived in a Manhattan high-rise, but now she’s on the laid-back train in the Seattle area. 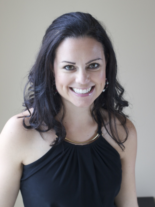 If you ever find yourself in Issaquah, she’ll probably buy you a drink. Maybe. 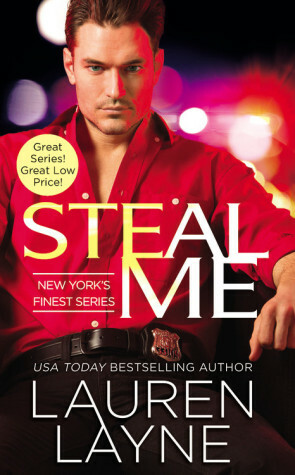 Guest Post with Author Lauren Layne: Playlist for Frisk Me by Lauren Layne. 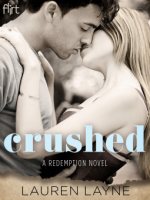 Review: Crushed by Lauren Layne + Giveaway! Steal Me is on my TRL. I enjoyed the post and look forward to reading it. Thanks for the giveaway chance.